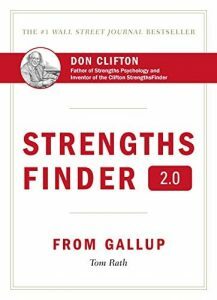 StrengthsFinder 2.0 is part of Gallup Strengthsfinder book and helps readers identify their talents and focus on their core strengths. Tom Rath identifies no less than 34 keys strengths people possess. I will skip most of them and invite you to get the book instead. Popular self development literature will tell you that you can achieve anything you want, no matter your starting point. But Tom Rath says instead that talent and potential do matter. At least if you want to maximize your potential and achieve the most you can achieve. Most people waste a lot of time and effort trying to “fix” their weaknesses. That’s silly, because you struggle against your natural tendencies, come short against people who are naturally good in those areas and to cap it all off… You make yourself miserable. Dropping your weaknesses doesn’t mean ignoring anything you’re not good at. There are baseline competence levels in some areas that you want to reach. For example if you’re a public figure, CEO or representative and are terrified of public speaking, you should probably address that. But it doesn’t mean you will spend years trying to get better at public speaking. Basically: focus on your weaknesses only when they interfere with your strengths. Instead of addressing all your weaknesses, find partners who are strong we are you are weak. This allows you to work on your strengths while someone else does the best possible job in your areas of weakness. This is called comparative advantage. Tom Rath says instead your time is best deployed working on your strengths. You will work on what comes most naturally effortless to you and will make the quickest progress while getting results and enjoying yourself. Do not confuse talent with strength. You still need to work at what you have. Talent per se means little. A talent only becomes a strength when you work on it. Talent is having natural abilities at something, but results are erratic and random. A strength is a consistent, near-perfect performance at a given task. Achievers are people who are extremely driven to achieve. The alarm rings and they can’t wait to get out and start getting things done. They overwork, but people who tell them to take a break don’t understand: getting things done makes them happy. It’s their innate drive and reward system that allows them to work so much and keep going and going. The danger of the achievers is that they burn themselves out and think of themselves as not good enough in spite of all they do. Tom Rath recommends they remind themselves of their achievements and only tackle what they’re good at instead of trying to do everything. Commanders are people who say what they think, no matter what. In my experience they are proud of calling a spade a spade, and I agree with the author when he says that they can create fear and resentment. They also tend to impose their will and command with directives instead of building support. Tom Rath recommends they soften their approach to fully maximize their strength. For example, stop imposing your will and focus on your reputation as honesty and straightness. 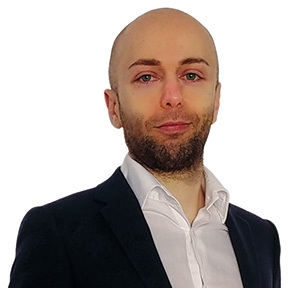 Eventually, if you learn to build consensus, you won’t have to rely on imposing your will. A good read for commanders is How to Win Friends and Influence People. Yes, it’s true you can improve at anything. And maybe it’s true you can be good at anything. But why wasting your time on being at something when you can be exceptional working on your strengths? I believe that one of the reasons why people often waste time on their weaknesses is that they feel bad about them. And working on their weaknesses becomes a way for them to try and improve their self esteem. Don’t be bothered by that: learn to love your weaknesses as something that positively define you for what you are not. The categories you end up with, such as “achiever”, “WOO”, “relator” etc. are neat and nice to read. They feel like uplifting horoscopes. 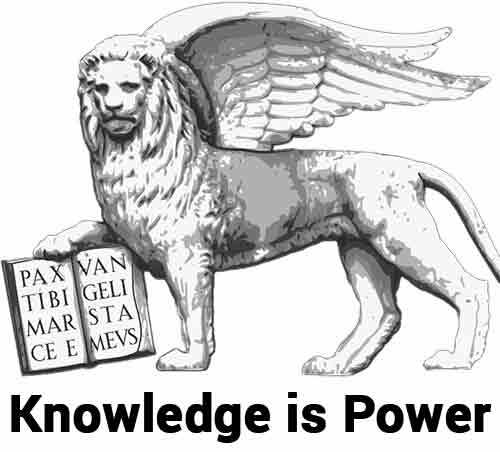 But they’re also simplification of reality and fail to address the “cross-skills” or “cross-weaknesses”. In the end you’re a complex web of different traits, categorizing yourself might not make you any favor unless you’re aware of the limitations. The book gives you a free pass at the test, but it’s limited and you need to fork out more $$$ for the full version. Here’s a free test I’ve taken on the web and which I liked. It got my weakness spot on: focus. I couldn’t agree more on working on your strengths. It’s an important message that might be lost in the wave of “you can do anything” self help. Honestly, I am not a huge believer in the Gallup Strengthsfinder. To begin with, it focuses on your strengths and not on what you love doing. And you’re better off finding the intersection of the two, not just your strengths. If you had to pick one between strengths and passion, I’d recommend passion because with a growth mindset you can develop your strengths. Furthermore, I believe in life being the greatest teacher of your strengths. Do and experience a variety of different things, especially in your younger years. Then pick one thing you love -and ideally you’re strong at- and let it consume you. That being said, with all the limitations of the Gallup Strengthfinder that you should keep in mind -it’s just a test after all-, Strengthsfinder 2.0 is a great book to help you maximize your potential in life.